You can't access our application any more and you need to reset your password. You need to adapt your password for security reasons. This document describes both the resetting of your password as well as changing your password manually. Please use a browser to 'surf' to our application. 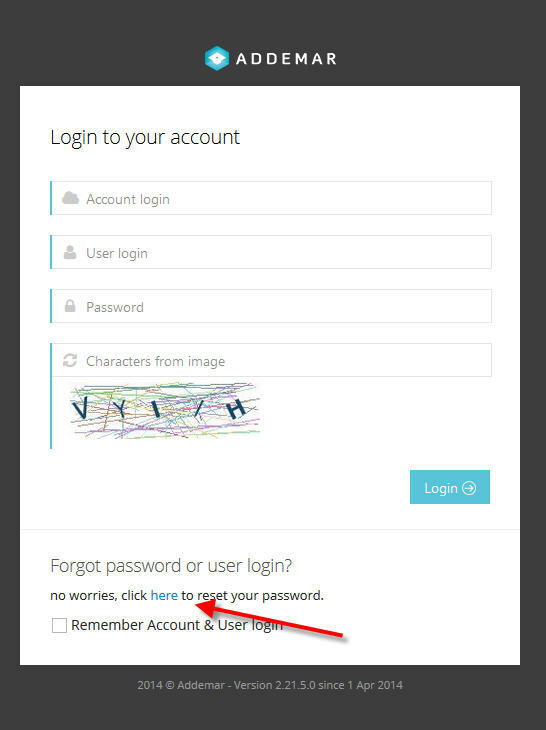 On the login screen you'll have a link toward our reset page. 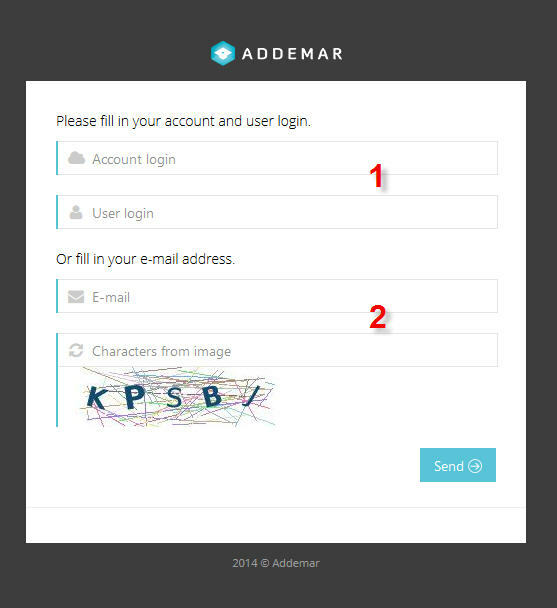 If you click the link to reset your password, you will be redirected to a page where you can provide the credentials of your account login and/or email credentials. To reset your password fill the needed details and click send. You'll receive a mail with a link to reset your password. You can change your password inside our application. For this you'll need to logged on ofcourse. If you want to change your password, please navigate to My Account -> Users. Click the next to your user-id. In the popup, click the change password tab and change your password.